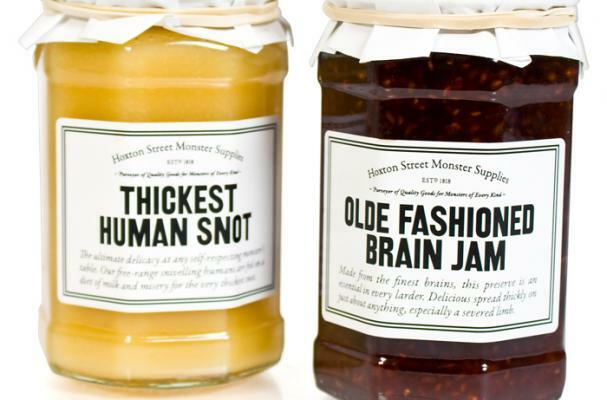 Right on time for Halloween is this duo of Human Preserves by Hoxton Street Monster Supplies. These condiments bear creepy labels like "Thickest Human Snot" and "Olde Fashioned Brain Jam," but they actually house lemon curd and raspberry preserves, respectively. Hoxton Street Monster Supplies is actually the Ministry of Stories, a charity that aims to foster kids' imaginations and creative expression. What do you think of the Human Preserves line?